Denise Devine has read 8 of 25 books. Denise Devine read 25 books of her goal of 25! Join my VIP list today to get the scoop on free books, new releases and lots of goodies at https://mailchi.mp/5abff60a74dc/denis.... You'll be glad you did! I'm a USA Today bestselling author of sweet romance, but I'll read anything if it's good. I live in Minnesota with my husband, Steve, who is a travel agent and two puddy-tats, Tigger & Babygirl. I love to travel and have been to places like Central America, Europe and the Middle East, but at the end of the day, there is no place like home and my own bed--even if I do have to share it with my cats. Do you like sweet romance? If so, I invite you to join Happily Ever After Stories - Sweet Romance Book Club and ReaderGroup, a private group of six USA Today Bestselling Authors, at https:// Join my VIP list today to get the scoop on free books, new releases and lots of goodies at https://mailchi.mp/5abff60a74dc/denis.... You'll be glad you did! For the latest info on all of my new releases and news from my blog, simply "follow" me on Goodreads! To ask Denise Devine questions, please sign up. New Release! Sweet and Sassy Cinderella for 99 cents! 9 Fabulous Romances for 99¢ or free on Kindle Unlimited!Get your copy today! 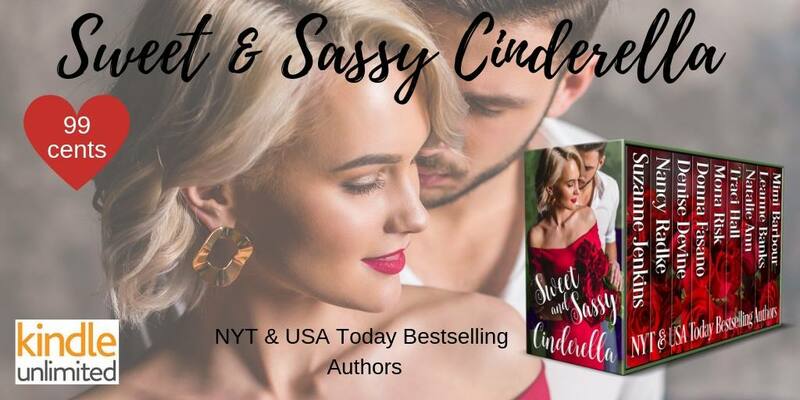 New York Times and USA Today Bestselling authors will keep you up past the stroke of midnight with their captivating contemporary stories as headstrong heroines and princely heroes dig through the cinders to find their own unique happily-ever-after. We’d love your help. Let us know what’s wrong with this preview of Irish Eyes by Kathy Hogan Trocheck. Here is my Amazon author page: http://www.amazon.com/author/denisede... ...more "
Thanks for your Goodreads friendship, Denise! Thanks for accepting my friend request! I look foward to discussing books! Denise, thank you for the friendship.